On January 10, 1999, a mobster walked into a psychiatrist's office and changed TV history. By shattering preconceptions about the kinds of stories the medium should tell, The Sopranos launched our current age of prestige television, paving the way for such giants as Mad Men, The Wire, Breaking Bad, and Game of Thrones. As TV critics for Tony Soprano's hometown paper, New Jersey's The Star-Ledger, Alan Sepinwall and Matt Zoller Seitz were among the first to write about the series before it became a cultural phenomenon. 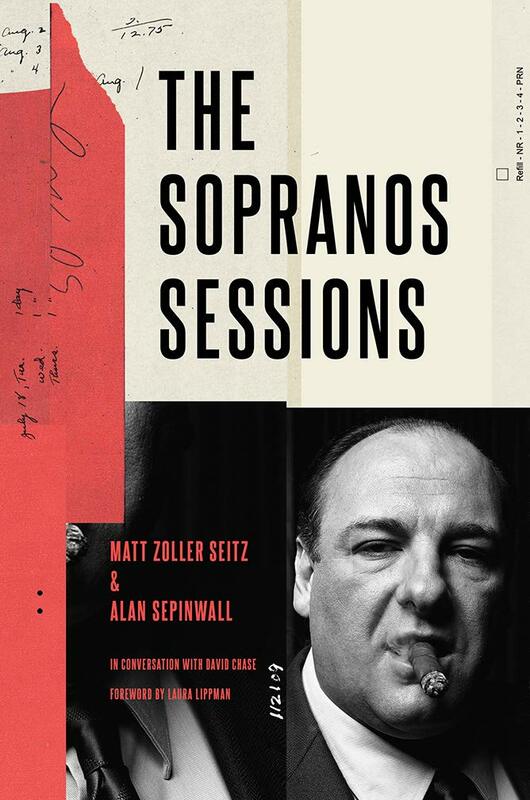 To celebrate the 20th anniversary of the show's debut, Sepinwall and Seitz have reunited to produce The Sopranos Sessions, a collection of recaps, conversations, and critical essays covering every episode. Featuring a series of new long-form interviews with series creator David Chase, as well as selections from the authors' archival writing on the series, The Sopranos Sessions explores the show's artistry, themes, and legacy, examining its portrayal of Italian Americans, its graphic depictions of violence, and its deep connections to other cinematic and television classics. If you are a big Sopranos fan like me this is sure to be an interesting read and a must have for your home library.